Watch out Mark Wright, Michelle cosies up to Gunther from Friends! 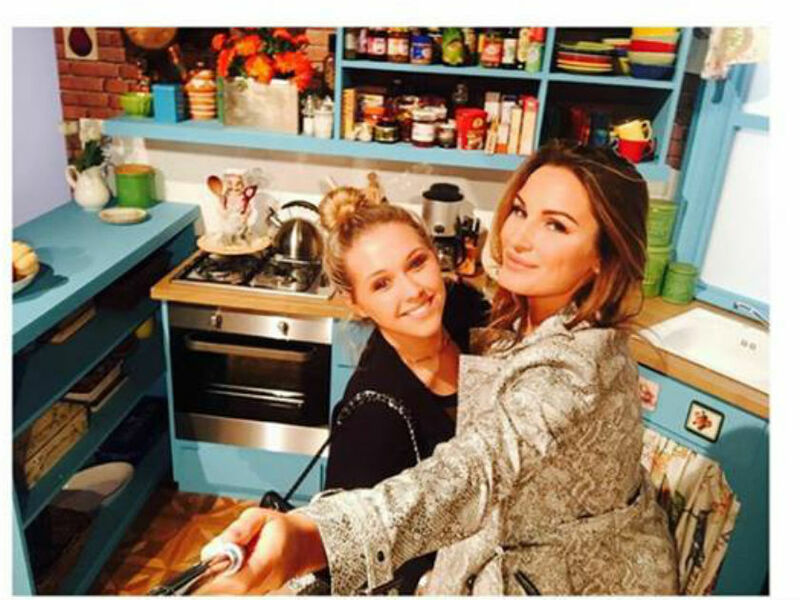 But which other stars attended FriendsFest?! The opening party for FriendsFest was packed with celeb faces last night, including hot new couple Gunther and Michelle Keegan?! If we can credit Friends with one thing, it’s supplying us with a bucket tonne of everlasting laughter (and also the eternal comfort that we are not the only ones who will not share food, thank you very much Joey Tribbiani). And it looks as though it is safety in numbers, as the opening FriendsFest in London last night was chock-a-block with famous faces. 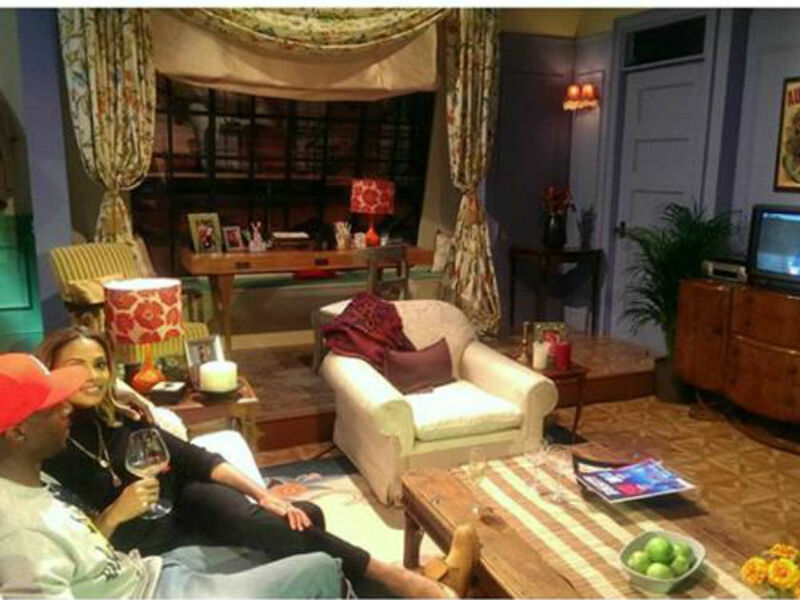 Comedy Central UK have reconstructed the famous sitcom set in London in celebration of the show- and it includes replica’s of Monica‘s apartment (eyes off Ugly Naked Guy please) and Central Perk. Guests can also visit a ‘Rachel‘ blow dry salon for an iconic makeover. Amazing, right?! And last nights opening was filled with enough drama to be a Phoebe Buffay performance…. It looks as though Gunther may have *finally* got over Rachel, as James Micheal Tyler (the actor who played the Central Perk manager) was spotted posing for a selfie with none other than the gorgeous Michelle Keegan! Mummy-to-be Sam Faeirs was also in attendance, and loving every minute- ‘I’m a huge huge fan of friends, I’m so excited to be here!’. Sam the superfan also Instagrammed some snaps from FriendsFest, captioning one ‘If you know me you know i’m the biggest FRIENDS fan… Ever’. Alesha Dixon will probably still be in Monica’s apartment as we speak, having made herself well and truly at home last night. The 36-year-old captioned a snap of herself and her partner Azuka on the infamous sofa ‘Chilling in Monica’s apartment with the husband watching a bit of telly’. Other famous faces included McBusted’s Tom Fletcher and Danny Jones, Ollie Locke, Stacey Solomon, Ashley Roberts and Brian McFadden and Jordan Stephens of Rizzle Kicks. With FriendsFest only on our shores until the 20th of September, and all tickets sold out, it looks to be one hell of a packed week. Side note- Smelly Cat is NOT invited.